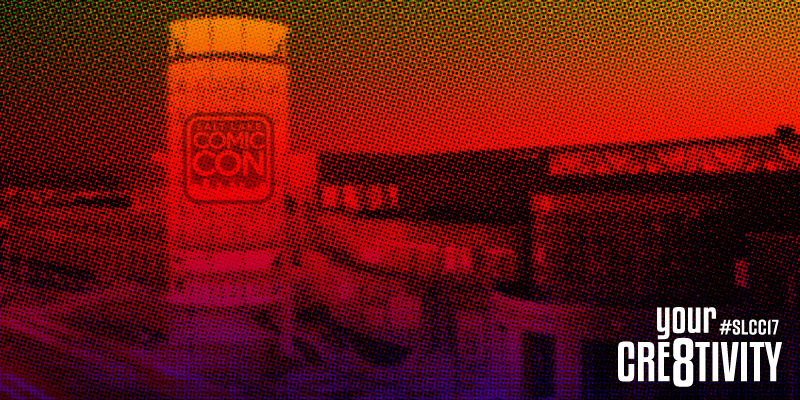 Your Cre8tivity returns to the Salt Palace for the 2017 SALT LAKE COMIC CON. Dylan attended all three days, attended numerous panels and got a couple of interviews, actor Keith Coogan & author Larry “Dr. Trek” Nemecek. Please take a listen of this incredible interviews! At Day 1 of the 2017 Salt Lake Comic Con, Dylan made a B-Line for Celebrity Row to just say Hello! to KEITH COOGAN! Keith was gracious enough to speak with us for few minutes outside on the Salt Palace loading dock while he had a cigarette. Keith has been an actor since he was a child, appearing on every television show imaginable (CHiPS, Knight Rider, Etc. ), evolved into films as a teen (Babysitter films, Toy Soldiers, Etc. ), and now has many hands in many projects and attending con and convention around the country. During our conversation, we discuss his grandfather Jackie Coogan (Uncle Fester from The Addams Family tv series & Charlie Chapin’s The Kid), being on virtually every tv show from the 80s and his adventures in the film industry! Thank you, Keith, for your generosity and time! Adventures in Babysitting is currently on Netflix: WATCH! To close out the con, we put on our geeks hats and reading glasees and dove into the tome that began from a note and a well used VCR to break down the episodes of the early seasons of Star Trek and what that exploded into! We also dive into his subscription service, his nearly done documentarty and the two new sci-fi series that play in and out of the official sandbox. Thank you, Larry for your incredible stories!